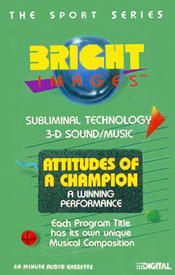 Developed to give you an attitude of a champion by instilling pride in your unlimited potential to be the best. Discipline yourself in your attitude towards health and fitness. Commit yourself to your goals, provides an atmosphere of maximum effort that will get you there first. Insist upon being a winner in all that you do. You will be prepared to win and you will expect to win in sports, business and personal life.